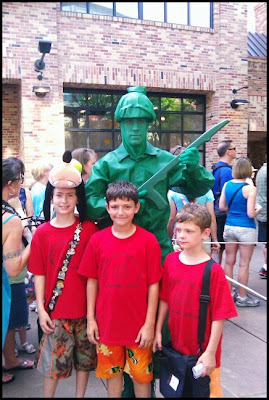 My son and two of his friends with one of the green army men from A Toy Story at Disney Hollywood Studios. 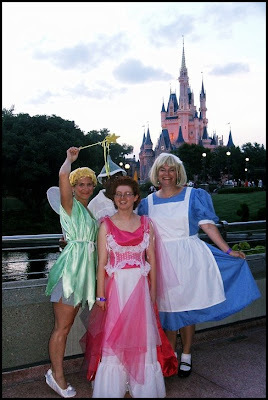 Neat story, but "Alice" and I were waiting to catch one of the shuttle buses back to our resort when a mother with a very sad little girl dressed as a princess got in line behind us. The little girl had obviously been crying. Her mother's face lit up when she saw myself and "Alice". The little girl who had been clinging tightly to her mama sobbing turned her head and saw us and immediately started grinning. Apparently, the poor little thing had waited in line for a very long time, but didn't get to meet any of the princesses and was so sad and disappointed. 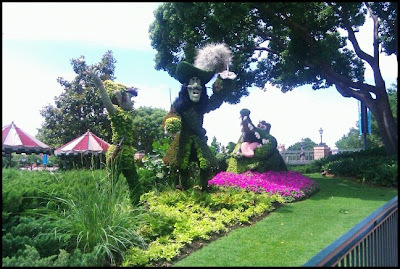 "Alice" and I played our parts, took photos with the little girl, and signed her Disney autograph book. 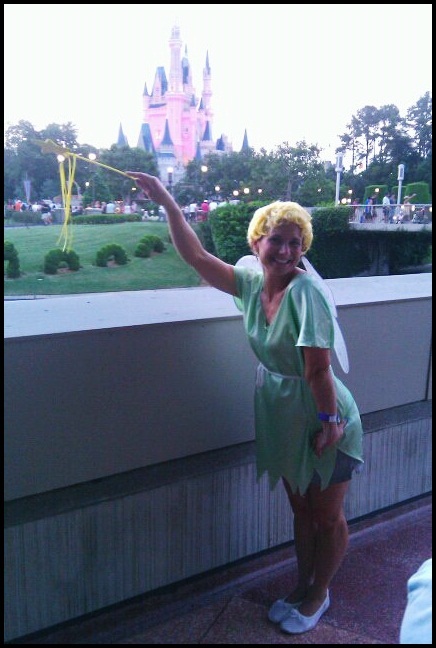 I even gave her my magic Tinkerbell wand. That is SO cute! Thanks for linking up this week. Looks like fun. We love Disney! Thanks for stopping by my blog. I'm following you back from What's Cooking in the Burbs. Have a great evening! Hey girl! Following you via GFC from the Find + Follow Friday link up. Looking forward to keeping up with all that you have going on around here :) I actually have a giveaway starting up this Friday that I would love for you to get in on. Giving away some of my favorite things, I always love to share! 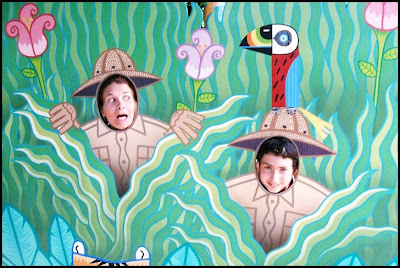 You can find me at dalaynadillon.blogspot.com See ya around.